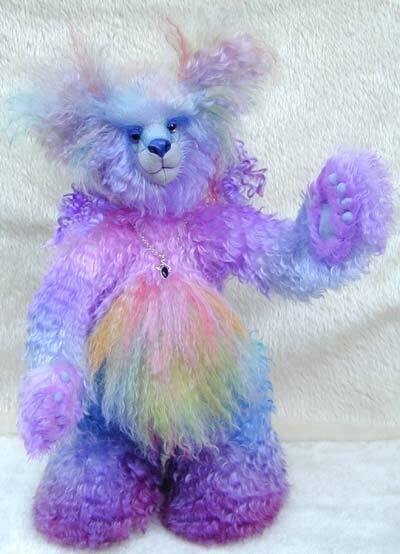 Her tummy ears and tail were made using a 100mm pile version that was hand dyed a few strands at a time and the paws have a shorter 25mm version but everything else has a 43mm pile. 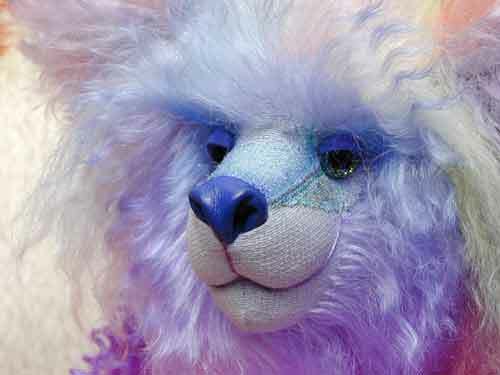 Face airbrushed to accentuate eyes, ears and muzzle. Soft sculpted face. 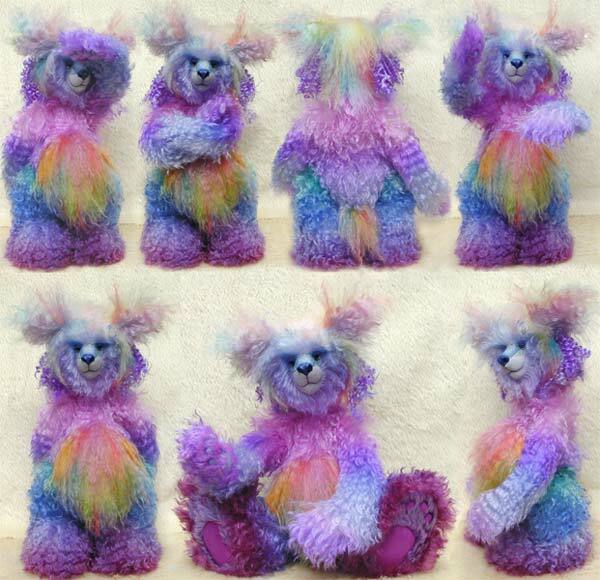 Each bear will be an individual, uniquely hand dyed and created to suit the personality of the bears companion.